The symptoms of neuropathy should never be ignored because the underlying problem may progressively worsen without medical care. 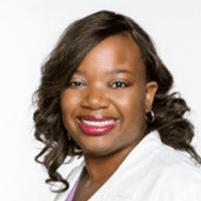 Sharisse Stephenson, MD, at Neurological Associates of North Texas is an expert at targeting the cause of neuropathy and developing a customized treatment to relieve your symptoms and prevent complications. To learn more about neuropathy or to schedule an appointment, call one of the offices in Abilene or Dallas, Texas, or click on the online booking feature. Neuropathy is a general term referring to any type of injury or disease that affects your nerves. Since neuropathy encompasses a large number of nerve conditions, it’s further classified according to the nerves affected or by the disease causing the problem. Peripheral neuropathy includes any problem affecting the nerves outside your brain and spinal cord. Damage can occur to motor nerves that control muscle movement and sensory nerves that convey messages about touch, temperature, and pain. Peripheral neuropathy typically affects your extremities. Autonomic neuropathy is a type of peripheral neuropathy that affects the nerves that control involuntary body functions such as blood pressure, temperature, breathing, and digestion. When blood sugar stays higher than normal, it damages nerves throughout your body, a condition called diabetic neuropathy. About 60-70% of patients with diabetes have mild to severe damage in their sensory, motor, and autonomic nerves. Proximal neuropathy is a rare disorder caused by nerve damage in your hip, buttock, or thigh. It usually affects one side of your body. What symptoms develop due to neuropathy? When nerves are damaged, it’s common to develop pain, tingling, or numbness. However, your symptoms depend on the type of nerve that’s affected. Rather than causing pain, some types of nerve damage cause numbness and interfere with your ability to feel sensations like touch and pain. It’s rare for peripheral neuropathy to be caused by a genetic problem. In addition to performing a complete neurological exam, Dr. Stephenson conducts diagnostic tests such as electromyography (EMG) and nerve conduction studies (NCS). EMG and NCS assess electrical activity in your nerves, showing the location and extent of your neuropathy. Your treatment is customized depending on the type of nerve damage and your symptoms. Dr. Stephenson treats underlying health conditions contributing to your neuropathy, prescribes medications to treat symptoms, and recommends dietary or lifestyle changes as needed to help control and manage your neuropathy. If you develop pain, tingling, or numbness, call Neurological Associates of North Texas or use the online booking feature to schedule an appointment.